My daughter was just put on a gluten free diet by her physician and we have no idea where to begin. Do you have any suggestions on following a gluten free diet? I know that a gluten free (GF) diet seems overwhelming and daunting right now. Please know that it can be done and there are many who successfully follow a gluten free diet. Our grocery stores have also come a long way in providing gluten free products and there are many resources available to support your new journey. A consultation with a registered dietitian is a great idea as you and your daughter learn how to manage a GF diet. A dietitian will also offer advice about how to balance a GF diet while still eating healthy and making sure your daughter is still getting the nutrition she needs for growing. This step will help give you a great start and feel more confident about following a GF diet. Gluten is a substance made up of several different proteins found in wheat and cereal grains. 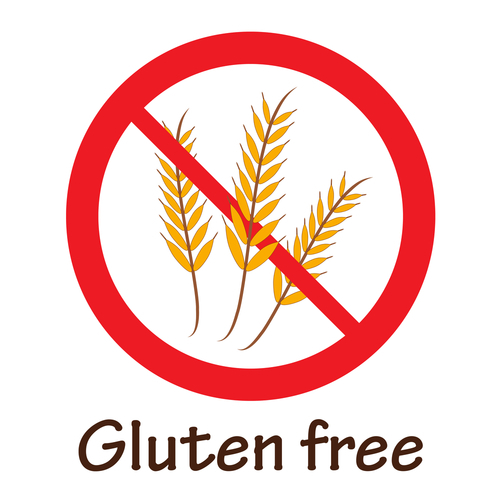 A gluten free diet eliminates foods that contain gluten. Grains that include gluten are: barley, bulgur wheat, durum, einkorn, farro, graham, kamut, rye, semolina, spelt, triticale and wheat. Oats are tricky because oats themselves do not contain gluten but the way they are processed and/or grown make many oats off limits. include rice, corn (maize), soy, potato, tapioca, beans, garfava, sorghum, quinoa, millet, buckwheat, arrowroot, amaranth, teff, flax, and nut flours. There are also many healthy and fresh foods that do not contain gluten. It takes time to adjust to a GF diet and your daughter will likely mourn her favorite foods and habits. You can help by focusing on the foods that she can enjoy and readily eat rather than what she cannot eat. Take trips to the local grocery stores and locate GF products. Purchase a gluten free cookbook and try a couple new recipes together. Involve her in some of your research so she is aware of what foods she can eat and cannot eat. There are online forums and communities that you can get support from as well as some wonderful GF food and recipe blogs. We sure hope this helps you navigate the GF world. Wishing you all the best on your GF journey.